For as renowned as some of their players were, for all the tabloid headlines, training-ground fights, and fireworks set off indoors, there was just something strangely anonymous about the team. 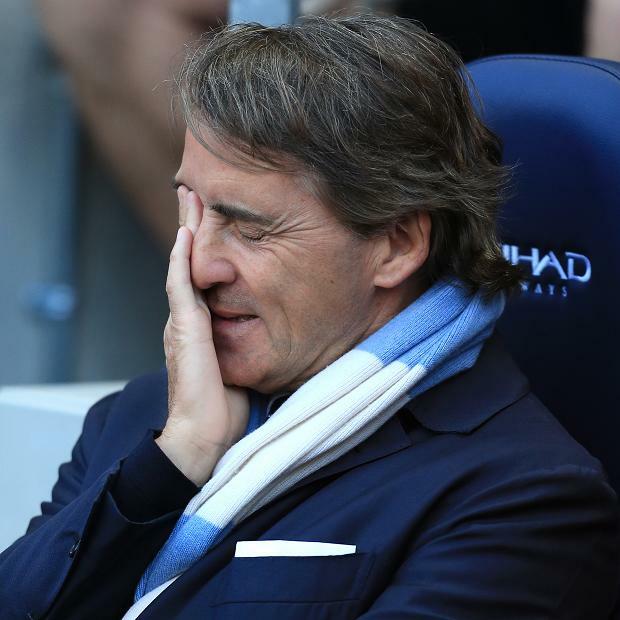 For several years, that anonymity, compounded by Mancini’s punishingly pragmatic football, was an insurmountable hurdle for many football fans. It was like we were collectively wondering, You spent all that money for … this? I think this team finally is a team. They finally have an identity. Say what you will about slick-passing La Liga imports bought by an Abu Dhabi billionaire. At least it’s an ethos. And, that’s all fine and good, and it may well be true (can you feel the but coming? )….but inherent in that conclusion, and in a couple of other places throughout Ryan’s piece, are some widely held beliefs about what the international soccer landscape is that just aren’t true anymore, if they ever were. For starters, let’s talk about this idea that Mancini’s team were this dour, unfun, clinical boring squad. Fact is, over the last two seasons they were first and second in possession time, and shot the ball the fourth and first quickest per minute in possession (MiP). In other words, not only did they have the ball a ton, they shot it at a faster pace when they did have it than almost anybody else. That’s not particularly what I think of as “punishingly pragmatic” on its face. Still though, talk to a Manchester City fan and they’ll tell you, it wasn’t so much the end result as how they got there. Watching the team, especially at 0-0, left the impression that Mancini was happy to kill off the first hour of the game, before substituting player A into role B, with tactical tweak C, and voila creating a goal through the magic of Mancini. That’s a particularly dumb strategy when your owners are perfectly happy to dive into the Scrooge McDuck swimming pool any time you ask and buy enough talent to crush lesser opponents under the weight of international superstars. The point isn’t that City weren’t dour. They probably were. The point is that there’s a general misconception about what makes a team dour. We tend to view things in binary. A team does X, which is fun, or Y, which is dull, but that’s not right and it really limits our understanding of the game. Certain traits get associated with fun, happy time football, like possession, and playing in the opponent’s half, and creating good chances. Others get associated with old, bad, boring, out of touch (English) style, things like long balls, crossing, compactness, cold rainy Wednesdays in small English towns you’ve never heard of. Here’s the quote of Pellegrini’s that Ryan pulls to emphasize the new pleasing style on its way to Manchester City. One of the important I am here is the way my other teams always played. I think fans of Manchester City will see a different way to how they played in the other years. I am sure we are going to play an attractive game. We will always try to play in the opposition’s , try to be an attacking team, do what all the other teams I worked with before did. Want to guess how good Manchester City was at doing that recently? They were second each of the last two years at time spent in their opponents’ half, and time spent in the final third. This is Manuel Pellegrini, this time, making the incorrect assumption about how City played. They were dull, so they must have done these things badly. Not true. Again, I’m perfectly happy to believe that Manchester City were aesthetically unpleasant. But, aesthetically unpleasant isn’t the same as not playing in the opposition’s half, or not attacking, or not playing long balls, or any other particular statistical trait you want to attach to it. Mancini built a lethal attacking force over the last two years, it was just one that tended to look pretty indifferent while dismantling teams. As for the idea that Pellegrini is going to bring in a bunch of slick passing La Liga players familiar with his style… I’m pretty skeptical of that as well. Stepping away from the specifics of the situation, the idea that there are stark differences between the overall styles of the major leagues in Europe at this point is dubious. Most of the elite teams in the world (with notable exceptions in Barcelona and Manchester United) are increasingly adopting the same approach. The world is gripped by a Phoenix Suns type seven seconds or less ethos. Rather than break down defenses, teams all across Europe have decided the best shot is the first shot, the one that comes before defenses are settled in. To the extent that any of the big four leagues are immune from the trend, it’s Germany, not Spain where teams are more comfortable holding the ball and trying to create quality shot opportunities. That, by the way, is despite the Bundesliga’s two international power houses (sidebar: is it too early to call Dortmund an international powerhouse? Is that like asking –insert cool, hip indie band name here—to do a stadium tour?) fully subscribing to the shoot first, shoot fast, shoot often, mentality. Although, with Pep’s arrival at Bayern Munich, who knows how long that will be the case. That strategy, which City excelled at, was also one employed by Pellegrini in his only year at a club with resources to rival the ones he now has at his exposure. Real Madrid under Pellegirini had almost 60% possession and used that time on the ball to take an avalanche of shots, nearly 6 more per game than any other team in La Liga. They shot the ball at a faster pace per MiP than any team in England, Spain, Italy or Germany did this year. 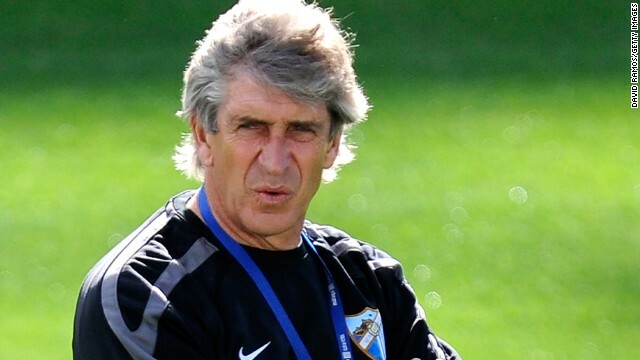 Now, to be fair, Pellegrini’s time at Malaga looks distinctly different. Last season his squad played slowly, in a style which seemed to mimic notable-exception-to-the-fast-playing-rule Barcelona. Those two teams, along with Athletic Bilbao, were the only clubs to combine a majority of possession and a shot per MiP of slower than four minutes (and these three teams are the sum of your argument for a “La Liga playing style”). Which approach will Pellegrini bring to City? I have no idea. I also have no idea how his iconic Villareal teams would profile statistically, since they were in the pre-statistic dark ages. Pellegrini may walk into City and completely change the way the team plays. He may have them hold the ball, and pass circles around teams, and play short, clever, Barcelona style one-twos. And people may swoon, and get all twitterpated over the newly revamped, pretty Manchester City. He may keep the same Phoenix Suns-style bury ‘em in an avalanche of shots gameplan. The point is there are lots of ways to attack, and there are lots of ways to look good doing it. The assumption that because City lacked the latter, they were somehow missing the former is flat out wrong, but it’s ubiquitous. Pellegrini fell into the trap, so did Ryan, and so do most fans, but its near unanimous belief doesn’t make it true.